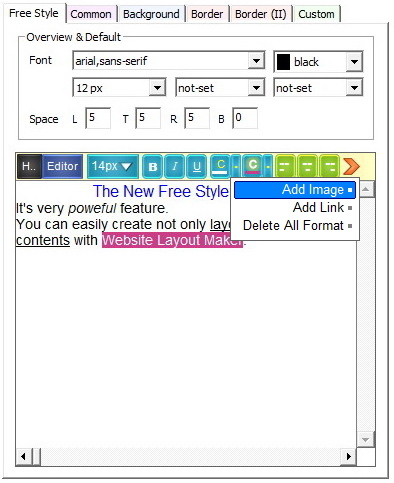 Create a website easily with powerful layout tool. Support drag and drop when editing layouts. Each layout based div tag - easy to understand and edit. Generate CSS style for shape and operation. 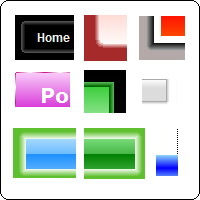 Provides powerful background options for each layout. 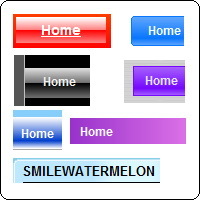 Provides powerful border options for each layout. 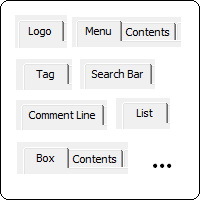 Provides more detail options for each layout. 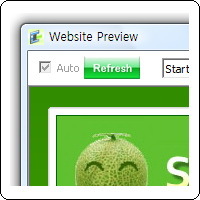 Provides dynamic preview for better design. 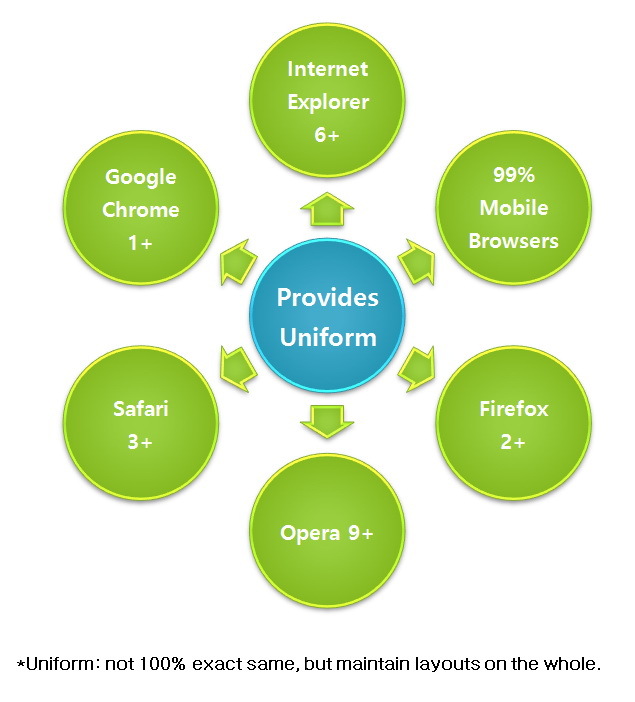 Provides uniform for the most common browsers. 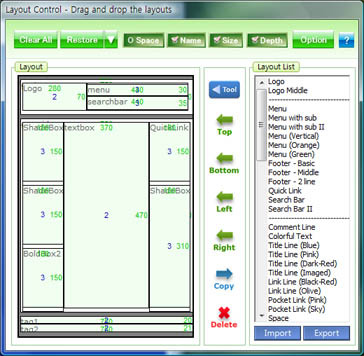 The HTML codes of layout are based standard div spec. Resize, move layouts in place. Copy and paste layout style and layout itself. Enable to restore previous layout actions. Import and export the layouts. The HTML codes of layout are fully based div tag. The codes used only standard div tag to maintain the layout form. That means new version of web browsers will show the same form. That is why the product gain the good word from the professional customers. The product already get uniform without no chagnes to the Google Chrome, Internet Explorer 8 and Safari 5. Each layout has its own background. There are various shapes and patterns. Not only its shape but only the background highly optimized for website traffic. You can also use any custom designed background. It's not just collection of patterns, but more positive and advanced background. Each layout has its own border. There are three types of border - border, inner border and ourter border. You can make various effects by combining the borders. The border are also based DIV and optimized for web contents. 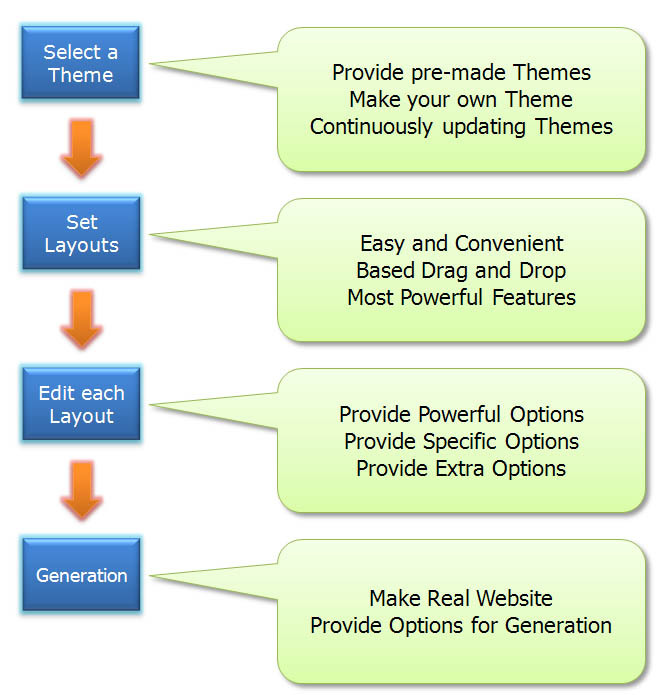 Each layout has its own specific options. You can adjust detail information in the options. You can changes many things in the options - the shape, an effect and contents. The product has a powerful free style layout. You can edit each layout more powerfully. You can do many thing more easily in the free style layout. And there are layouts ( Body Text Box, Body Text Box II, Body List Box, Big Two Panel and Body Mixed Box ) that have free style editor. 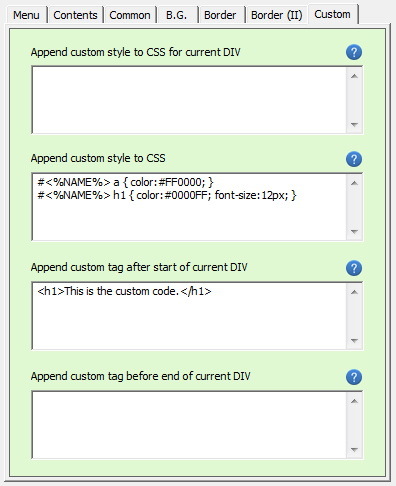 You can append your custom HTML and java-script codes to whole website and each layout. There are custom section in the whole layout and each layout. There is a layout for java-script, but you can append the java-script codes to any layout. You can import and export each layout. 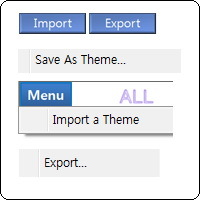 And you can also create, import and export a theme. You can share or backup the layout and theme. You can create a website with preview. This is the most big difference from the other product. You do not need to waste your valuable times to check the website.